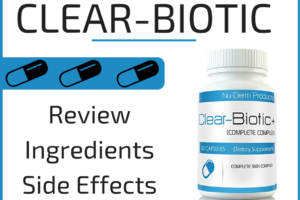 Home / Acne Pill Reviews / 9 Best Vitamins for Acne Treatment: Clear Your Skin Naturally! Acne is a skin disease that plagues millions of people around the world and has various causes such as someone’s diet, genetics, and hygiene habits. What do Studies Say about it's Effect on Acne? What Do Studies Say About B6 and It's Effect on Acne? What Do Studies Say About B3 and It’s Effect on Acne? What Do Studies Say About Zinc and It’s Effect on Acne? What Do Studies Say About Selenium and It’s Effect on Acne? Is Vitamin D One of the Best Vitamins for Acne Prone Skin? What Do Studies Say About Vitamin D and it’s Effect on Acne? What Do Studies Say About Vitamin C and It’s Effect on Acne? What Do Studies Say About Vitamin E and it’s Effect on Acne? There are numerous different topical drugs, medications, and creams that people take, but first many people like to take a more natural approach instead of using synthetic drugs and products. There are also some acne sufferers who get nasty side effects from pharmaceutical drugs and need to try a different option. We have broken down the most talked about minerals and vitamins for acne to get to the truth about whether or not these are good options to get a better complexion. Vitamin A is a type of retinoid most commonly known in its natural vitamin form as retinol. It is also found in foods such as carotenoids as well as found synthetically in prescription medication pills and creams in drugs such as Adapalene and Isotretinoin. Promoting epidermal differentiation which works on a chromosomal level to resurface our skin. Modulating dermal growth factors which means vitamin A can help with wound healing related to acne breakouts. Inhibiting sebaceous gland activity and suppressing androgen formation which means vitamin A can help us control the damaging effects testosterone within our bodies can have on our skin. For this reason vitamin A helps prevent comedones which are dilated hair follicles that become trapped with this oil which eventually leads to acne infections. Because various different supplements can contain vitamin A you may want to monitor to see if you are taking it at too high of a level which may become a problem. An exception to the rule in watching your Vitamin A intake is when we are eating or drinking carotenoids from rich dietary sources as our bodies have a self regulating function to prevent excess vitamin A from being stored in this situation. This is because carotenoids are considered provitamins as opposed to conventional vitamin A supplements which are absorbed at a significantly higher rate. Even when taking multiple vitamin A supplements simultaneously it is extremely rare to get any side effects; it should be noted though. Studies done with vitamin A at doses that are normally taken by people through supplement form (between 5000 to 10,000 iu’s) do not show any noticeable results. We do not recommend that you take this dose of vitamin A as you would need to take half to a whole bottle per day just to take this dose which is obviously risky and unnecessary with there being more practical and safer options to take. Vitamin B5 was discovered in 1931 by Roger J. Williams and R.W. Truesdail and then isolated in 1938. Its name “Pantothenic acid” originates from the Greek word “pantos,” meaning “everywhere,” as it is in all living cells. Another common name for it is Pantophenol. Vitamin B5 is commonly sold as a vitamin supplement in the form of D-Calcium Pantothate. Is Vitamin B5 one of the Best Vitamins for Cystic Acne? Like vitamin A, Pantothenic acid can help with promoting epidermal differentiation, modulating dermal growth factors, and decreasing oil production to reduce pimple infections. There are also studies showing it has an antimicrobial effect and can reduce overall skin inflammation. It is important to mention that this supplement in more rare cases can cause a variety of side effects if taken at too high of a dose. What can make figuring out a dose difficult with this supplement is that although most people can get little to no side effects many people attempt to megadose it which can result in some serious problems for those that take it. To see how your body reacts it is a good idea not to start with no more than 750mg’s of this supplement your first time to see how you react. If you have a history of dry skin or dry eyes it can possibly worsen these side effects in some people. To help combat this everyone taking B5 should think about increasing water intake by 16oz’s a day and taking an omega-3 supplement like fish oil. To help reduce the necessary amount of pantothenic acid it is best to take it in a stack of ingredients as less will be needed to get results. Having other ingredients can make for possible deficiencies caused by the Vitamin B5 as well. After conducting mice studies in regard to Vitamin B5 Dr. Lit Hung Leung then studied the effect of mega dosing 5-10 grams of this supplement on humans (we do not recommend you do this). This very large dose of vitamin B5 according to his studies helped reduce pore size. The function by which Dr. Leung says that the results came from was the regulation of hormones, metabolism, and fatty acids from an increased level of Coenzyme-A (Co-a). His theory states that when there is a deficiency of Co-a it results in an accumulation of fatty acids in our sebaceous glands. This overproduction of sebum (oil) combined with dead skin leads to rise of acne infections and break outs. Vitamin B6 was actually discovered when a scientist named Paul Gyorgy found an unknown substance he was experimenting with helped a skin condition named dermatitis acrodynia that effected rats. Four years after his discovery another scientist was able to isolate this vitamin from rice bran which led to other scientists one year later who were able to show that there were two forms of this vitamin in pyridoxin and pyridoxamine. When we buy B6 today in supplement form it is the form of pyroxidine. Meats that are naturally high in B6 include fish and organ meats such liver and kidneys from most animals. Starchy vegetables such as potatoes are an excellent source of this vitamin along with most fruits excluding citrus fruits such as oranges, lemons, limes and others. Fish and starchy vegetables are sources of B6. Is Vitamin B6 One of the Best Vitamins for Hormonal Acne? B6 also helps our skin by reducing the skin’s sensitivity to testosterone which is a form of androgen that is most active in both men and women. Some men will experience benefits from B6, but in general women will achieve better effects as this vitamin can help women increase progesterone levels which improves their pimples from it’s ability to defuse some of the harshful effects of testosterone. For the acne treatment 50-100mg’s per day is an effective dose. Going over 250mg’s per day though is not a good idea as the opposite result can actually occur where you actually get more acne. It seems that B6’s positive effect on acne is more anecdotal than proven in studies. If anything there is more easy to find research showing it can cause acne. Also known as niacin or nicotinic acid is an essential human nutrient which got the number 3 in it’s name as it was the third B-vitamin to be discovered. The first person to discover the nutrient was Hugo Weidel who found it when he was conducting research on nicotine. Although nicotine and vitamin B3 (also known nicotinic acid) are chemically different as one is a vitamin and one is a drug they are still structurally similar and in fact there are some studies that show taking B3 has beneficial effects to help addicted nicotine users. There are two forms of B3 in Nicotinic acid and Niacinamide. Nicotinic acid is the form of B3 that's used to treat high cholesterol and heart disease. -Helps type 1 diabetes, skin conditions, and schizophrenia. Treats high cholesterol and heart disease. Niacinamide unlike nicotinic acid doesn't lower cholesterol. However, it can help treat type 1 diabetes, some skin conditions, and schizophrenia. Is Vitamin B3 One of the Best Vitamins for Clear Skin Complexion? When we have enhanced circulation it allows vital nutrients to be delivered to the various organs in our body including our skin. Niacinimide (B3) has this effect as it is a major component of NAD and NADP, two coenzymes that are involved in cellular metabolism. It also plays a role in cell signaling and making and repairing DNA; in addition to that it acts as an antioxidant. What are the Side Effects of Taking Too Much Vitamin B3? Most people like to take a lower dosage of B3 at around 100 mg’s or less because the flushing effect can be bothersome at higher doses. The higher end of the dosing that people take is 500 mg’s per pill and usually only taking one pill per day at that dose. Because there are some risks with megadosing it is uncommon to take large doses unless a doctor prescribes this dose. Even when doctors do prescribe mega doses it is not for pimple management and is instead used for helping addicts come off alcohol or other drugs. While B3 is not widely studied there is some evidence from some studies showing that more research could be warranted as preliminary results show the vitamin has some positive effects on acne when used both topically and orally. There are different cases of zinc being used through ancient civilizations hundreds if not thousands of years ago. Zinc ores were utilized to produce the zinc-aluminum alloy brass centuries ahead of the discovery of zinc as a distinct component. The earliest known zinc pills were made of the zinc carbonates hydrozincite and smithsonite. These zinc pills were used for sore eyes and were found aboard the Roman ship Relitto del Pozzino that was shipwrecked in 140 BC which shows how long people have been supplementing with this vitamin. What are the Effects of Zinc on our Skin and Acne? Zinc has been used as a therapeutic vitamin for centuries. Topical creams such as zinc oxide, calamine, or zinc pyrithione are in use as skin protectants and as antidandruff shampoos to help scalp health. Even better than orally taking this supplement form many people will actually use zinc topically. Topically it is believed that the anti inflammation and anti bacterial effects it has decreases our amount of pimples. There is evidence that taking zinc with vitamin B6 may have a synergistic effect for some people who take it. Although zinc helps some people with naturally medicating acne, for others it has the exact opposite effect for people’s skin. The reason why zinc is not a good option for everyone whether they are a man or women is the fact that zinc is an effective testosterone booster for many people. Testosterone is the most common cause of hormonal acne and although zinc can have many effects on our skin it can be overpowered in a negative way by the testosterone enhancing effects of zinc. When zinc pills are taken for a long time and in large doses it can cause copper deficiency. Individuals with low copper levels can experience neurological issues such as weakness and numbness in the arms and legs. The National Institutes of Health considers 40 mg of zinc a day to be the upper limit dose for adults and 4 milligrams of zinc each day for infants under age 6 months. Gastrointestinal issues with bloody diarrhea may occur sometimes after ingestion of zinc beyond recommended doses. We suggest you never use zinc internally. This usage of zinc has been connected with the reduction of the sensation of smell. Its effectiveness in treating acne remains a bit of a mystery although at times it has been shown to be effective. Zinc shouldn't substitute any current acne treatments since the majority of the studies demonstrating effectiveness of zinc are small case studies. The best studies at this time point to people with low zinc levels may have high levels of inflammation in general with acne being one example of inflammation some deal with. Selenium was discovered by Jöns Jacob Berzelius in Sweden in 1817 when he realized there was an impurity that was produced when he was working with sulfuric acid. This “impurity” ended up being a huge discovery as selenium is a powerful element which ended up being put on the table of elements we all learn about in school. Selenium today when found in supplements comes from refining copper and can actually conduct electricity. It is also a powerful antioxidant which has numerous benefits in our body including in our skin. What are the Effects of Selenium on our Skin? Our immune system relies on selenium to operate well. Selenium together with other nutritional supplements strengthens the human body's army of white blood cells to fight infections on our skin, including acne infections. What are the Side Effects of Taking Selenium? Taking doses over 400 mcg can boost the probability of developing selenium toxicity. Taking a low dose long-term may increase the risk of developing diabetes. Because the body only needs 55mcg’s of selenium to get the positive effects for our body this is a supplement you don’t want to go overboard with. Taking over 400mcg’s a day is dangerous and should not be done unless your doctor particularly tells you to do so. The most common dose taken is 200mcg’s per day which is safe to take and should give you all the benefits without the side effects. Studies do show a correlation between people supplementing with Selenium and reduced acne vulgarisms lesions. What we do not know is whether or not these people who had positive effects currently had a deficiency when they started taking this mineral. Because many people may already be getting enough selenium it could be hit and miss in terms of results from person to person. Discovered in 1920 vitamin D is a unique nutrient while besides being able be ingested it is the only vitamin which can be manufactured in our skin from UV lights such as sunlight. Older and more recent research show that vitamin D has powerfully effective benefits for improving overall health. The reason it has been shown to improve skin health and help with ailments such as cancer is most likely to be that it is one of the most common vitamin deficiencies that someone can have. What are the Effects of Vitamin D on our Skin? Increasing evidence points to its deficiency with the proper functioning of nearly every tissue in our bodies including brain, heart, muscles, immune system and skin. Vitamin D has a relationship with calcium where it can increase it’s absorption within out body. Most know calcium for helping your bones; most do not know how it can positively effect our skin health through it’s effect on keratin and the overall look and feel of our epidermis which is the outer layer of our skin. What are the Side Effects of Taking Vitamin D? Side effects are rare from people who take in vitamin D. One exception would be that staying in too long in the sun or tanning beds leads to leads sunburn and possibly even skin cancer. The dosages per pill that are currently sold are usually run from 2000iu’s to 10,000iu’s per pill. It is safe and probably a good idea to take the higher dosage at one pill per day unless your doctor tells you otherwise. Our research of people who overdosed on vitamin d found that it was extremely rare with the people often taking ridiculously high doses that would be equivalent to 18 of the strongest pills per day in one case. Studies indicate that vitamin D either through the sun or from supplements shows to have an effect for reducing acne from it’s ability to reduce inflammation. It is not a miracle cure that will get rid of pimples in a drastic way, but it should have a slight effect. Even more effective than supplementing through pills may actually be from tanning whether from the sun or tanning bed. How Does Vitamin C Benefit Our Health? Within our bodies vitamin C functions as an Important cofactor in several enzymatic reactions including the biosynthesis of collagen which is an important component of our skin. What are the Effects of Vitamin C on our Skin and Acne? Vitamin C is best used to promote which skin health and to help deal with acne scarring from it’s collagen and elastin production boosting effects. Increasing these effects results in your body’s ability to create new skin cells as we turn over from old skin cells. Skin cells live about two or three weeks which is why it is important to be patient and consistent with using Vitamin C.
What are the Side Effects of Taking Vitamin C? An upper level dose of two grams per day is usually used to protect against some people experiencing diarrhea and gastrointestinal disturbances. Going beyond this amount has caused diarrhea for myself when taking it. I was taking it for it’s overall health effects and not for my skin at the time. The absorption of Vitamin C in our stomach is restricted by an active transport mechanism and thus a small amount of the vitamin is consumed despite a large oral dose. It is also worth mentioning that studies show that taking vitamin C orally does not benefit our skin. The use of topical vitamin C is considered a far better option when deciding how to use vitamin c to help acne. How does Vitamin E benefit our Health? Vitamin E was discovered to have some sort of benefits in mice giving them the ability to more successfully breed new baby mice, but later human studies weren’t as successful. Vitamin E in humans though besides improving skin health can possibly even slow the progression of neurological conditions such as Alzheimers disease and help prevent cancer, but more research may be necessary in these areas. What are the Effects of Vitamin E on our Skin? Vitamin E is not an extremely noticeable acne fighter like some of the other vitamins mentioned in this blog and is more of an overall skin health vitamin that can have a small effect on our skin in terms of acne, overall skin look, and from an anti aging aspect because of it’s antioxidant effect. It is popular in OTC creams for the face. When our body lacks the necessary antioxidant it leads to issues with skin turnover, inflammation, and bacterial infections. The most common side effect is increased bleeding and is rare at recommended doses. It can have this effect at high doses and is a sign that it may be negatively effecting our blood clotting. Common dosing of Vitamin E is between 400 iu’s to 1000 iu’s per day. Taking a megadose has never been shown to help with acne and seems to only cause side effects in those that did so. One study of 47 women and 42 men with acne it was revealed that following a 12-week supplementation of vitamin E and selenium that this skin disease improved. Overall though there isn’t enough evidence to add Vitamin E in supplement form to reduce acne lesions. There also isn’t evidence that it works topically either; in fact because it is an oil it could actually increase acne by clogging pores. If there are any vitamins or minerals that we didn’t mention that you are looking for more information we recommend you look into how that particular vitamin or mineral functions which will give an idea of how it gets it’s results for your skin. To be breakout free it is important to also balance our weight with good nutrition, lead a healthy lifestyle by including extra fitness, and avoid sugary and dairy foods. Please comment in the section below with your experience with whichever acne vitamin you have or haven’t seen results with.